When it comes to build quality The Big Sur is impeccable. The quality of materials are super high and this is something that ONA does extremely well. They produce bags that are a pricey but what you get for the money is well worth it in my view. 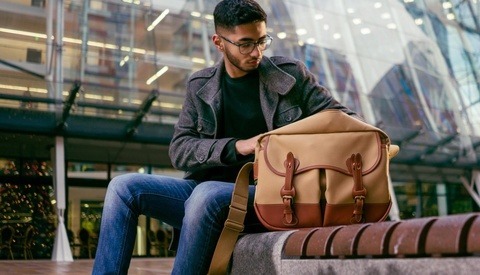 Some of you may disagree and point out some alternatives but personally, I like high-quality bags because it's not just about how practical something is, I want something that looks nice too. The Big Sur, retains the level of quality when it comes to materials used. The leather is once again full grain leather which is the highest grade that you can buy. 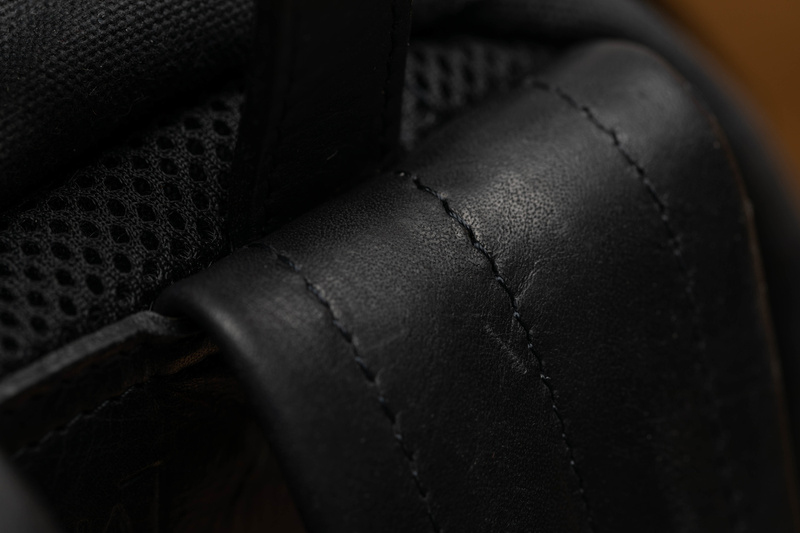 I love the kind of leather that ONA uses because not only is it durable but it's also soft and supple. 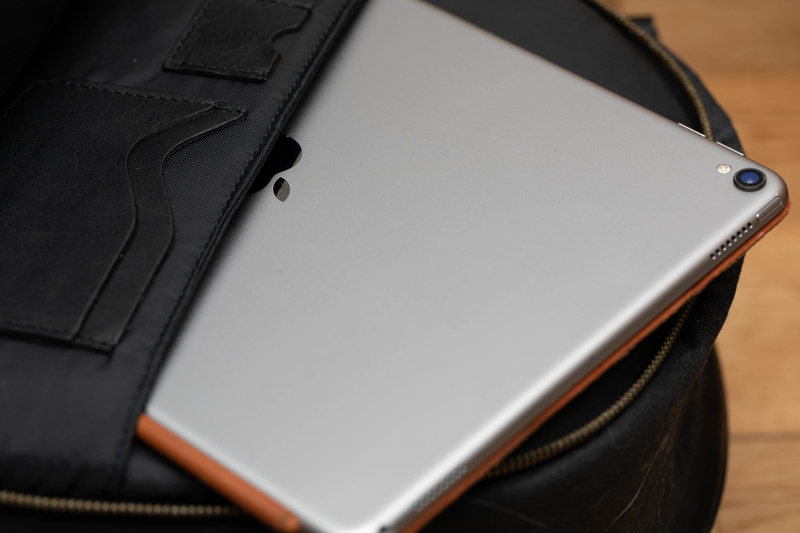 Of course, leather as a material does require more attention when it comes to maintenance and it does have its limits when it comes to how durable it can be. I believe it's for this reason that ONA decided on using waxed canvas as the primary material for the Big Sur. 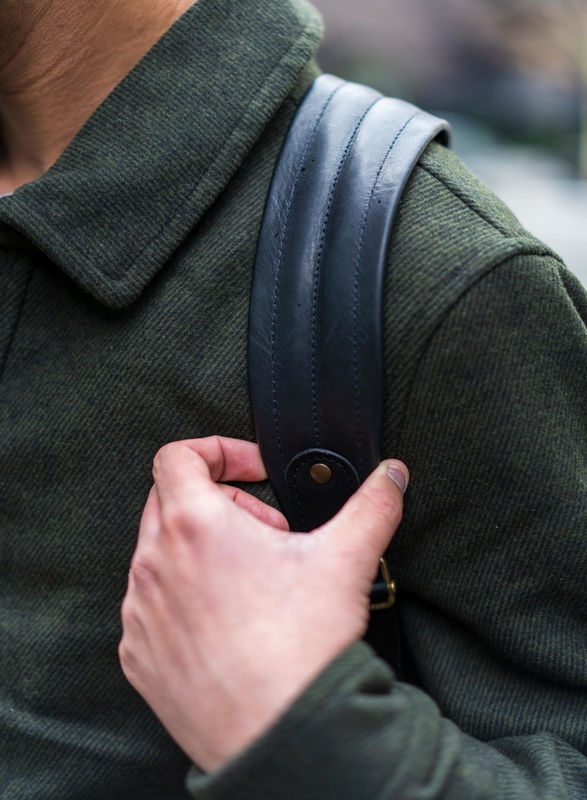 Personally, I would have preferred this backpack to be completely leather instead of using waxed canvas but I assume the price of that would have been significantly higher. Using waxed canvas may be helping to keep the cost relatively low, or lower than what it would have been. The reason I don't normally prefer waxed canvas is that I have a pet cat and his fur gets absolutely everywhere. On leather, it's never a problem because you can simply brush it off. On canvas, however, the fur does stick and on The Big Sur I'm finding that to be a bit of a pain to manage. The fur sticks and even with a brush it's difficult to remove. The other thing that doesn't help is that my cat is mostly white and The Big Sur is almost completely black. Don't get me wrong I love the black on black color theme of this bag but my cat's fur really shows up. Essentially if you have a fur shedding pet like I do then you may be in for a few frustrations. Other than that the waxed canvas is actually pretty good. Wet weather is very common where I live so having a bag that can protect against the rain is very useful. On that basis, The Big Sur does a fantastic job. Even in hard rain, I haven't found any water seeping into the bag. Also in usual fashion ONA uses brass fittings for this bag too for that extra degree of quality. 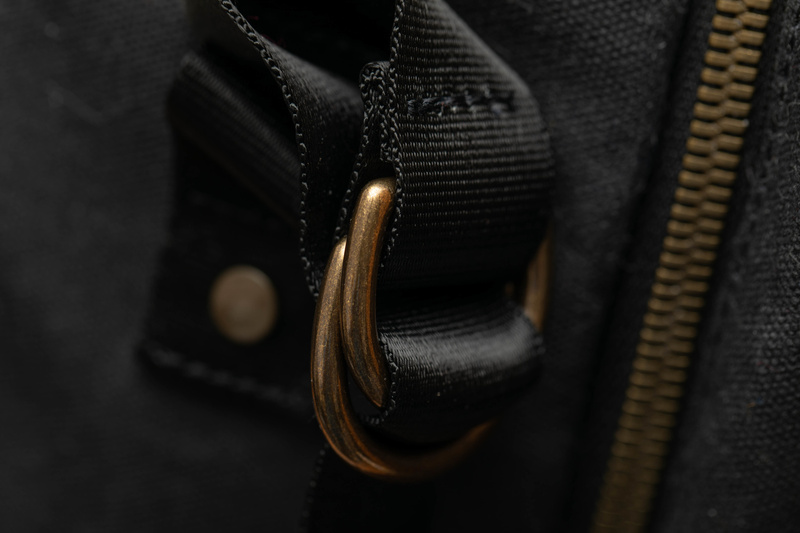 The zips and bolts are all soid brass and this not only gives it a high-quality feel but makes them feel more durable too. 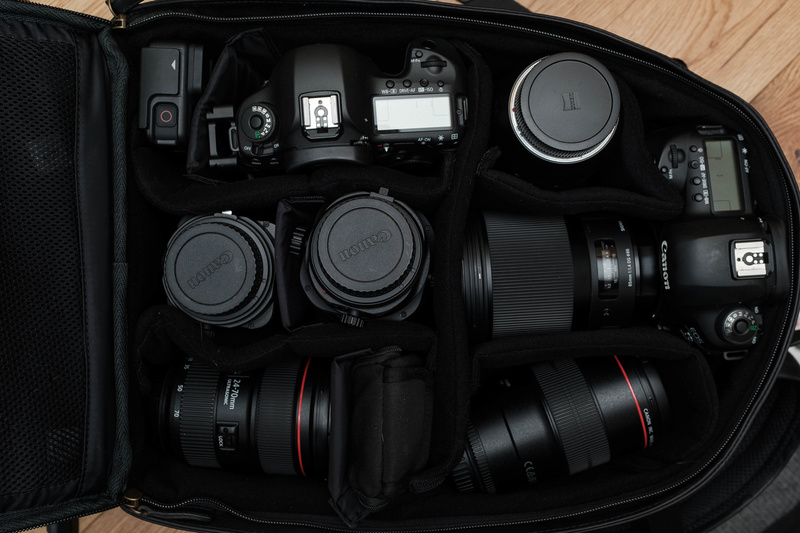 Capacity is one of the key benefits of this camera bag. It's isn't called The Big Sur for nothing and it does offer a generous amount of space. 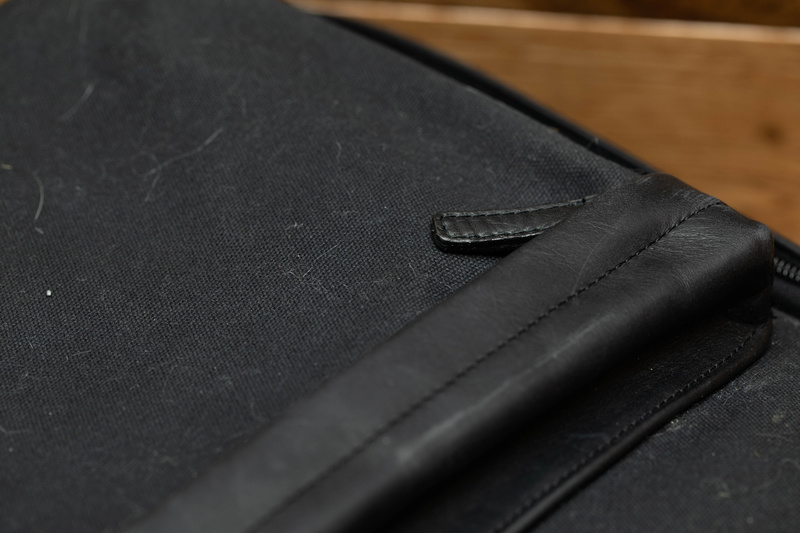 If you did want to carry a large amount of gear then this bag might be the one for you. In the main compartment, I'm able to comfortably hold a Canon 5D Mark IV, a Canon 5DSR (with an L bracket attached), an EF 24-70 f/2.8L II, the TS-E 24mm f/3.5L II, a Sigma 85mm f/1.4 Art, the Zeiss 135mm f/2.0 the TS-E 45mm f/2.8, an EF 100mm f/2.8L macro lens, a GoPro HERO 7 and, a Camranger with the pouch and cables. The only minor negative point I have about the capacity is the fact that the main compartment doesn't have the height to accommodate some longer lenses when stored upright. For example, the 100mm macro lens pictured above needs to be stored on its side for it to fit. If this section was just a little bit deeper it would allow for even greater capacity. You can also attach a tripod to the bag using the straps and fittings on the side. 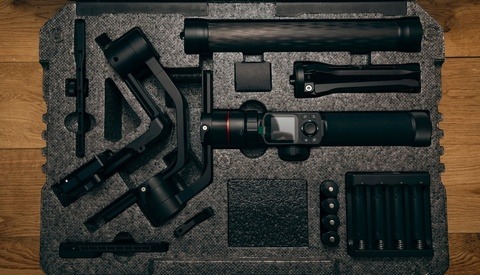 Both sides are identical meaning that you can either attach two tripods to the bag or attach one on either side. Personally, I don't think I'd ever leave the house with that much gear in one bag because ultimately I'm the one who has to carry it. Having said that it's great to have that capacity available and I'm pretty certain there are some of you out there who need a bag that can carry enough for those long days and big shoots. The front pouch on this bag allows you to carry some small accessories. I tend not to put anything valuable in that pouch because chances are it's probably going to get knocked around. I prefer to only use it for things like tripod plates and maybe a ColorChecker Passport. 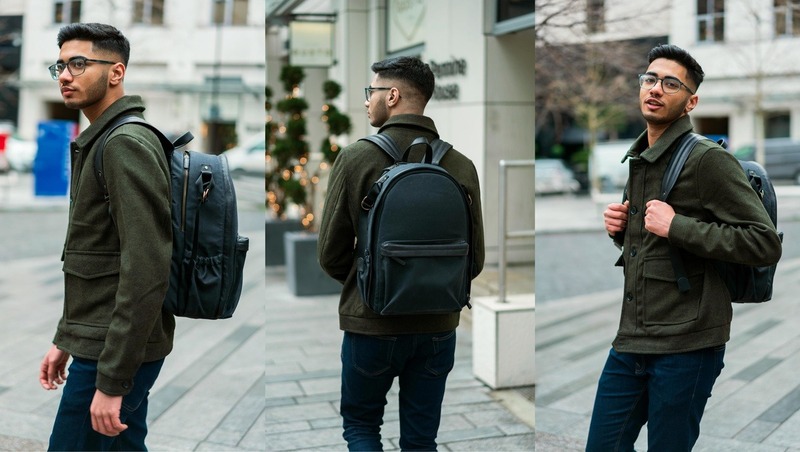 Finally, this bag also allows you to carry a laptop that's up 15 inches. I prefer to carry an iPad so this leaves me with plenty of space. Another reason I don't enjoy overfilling this backpack is that although the shoulder straps are made of beautiful high-quality leather, they're not very comfortable. It's an odd one really because they feel really soft and nice in the hand but they're pretty bad on the shoulder; especially once you have a lot of weight in the back. The shoulder straps are relatively thick but for one reason or another, they don't seem to distribute weight evenly enough. As a bit of a personal point, I'm not a huge fan of bags that open up to the main section from the back. For this reason, I tend to use bags like the Flipside series from Lowepro in many situations. It just offers an extra degree of security when you're traveling around cities. If someone attempts to open your bag when you're in a crowded train or tube station, they only have access to minor accessories as opposed to all my cameras and lenses. Now, I'm aware that this is a bit of an unfair comment to make against The Big Sur because most bags currently on the market including ones from Lowepro open to the main section from the back. Even still, I think it's an important thing to point out especially considering the fact that this bag does look like quality. Made with very high-quality materials like full-grain leather. Waxed canvas picks up fur and dust. Not very comfortable when filled with gear. No stabilizing straps for better weight distribution. The thing that I love about this bag is that even with its relatively compact size it's able to carry a huge amount of equipment. 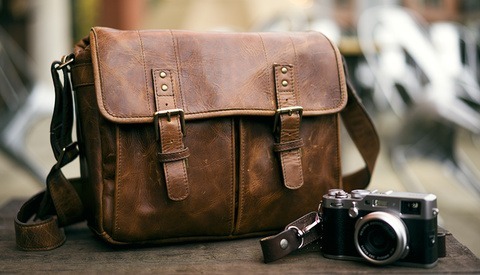 Stylish high-quality bags tend not to normally have huge capacities and this is generally one of the major trade-offs. If you want something that's stylish then it's generally going to be smaller with less capacity making it less practical. For this reason, I think The Big Sur does fill in quite a nice little niche for many photographers. Ultimately, I think this is a brilliant option for those of us that want something that's really well made with beautiful leather and brass, but also want something practical due to the capacity. You can buy yours for $449 using the link here. $450 USD about $600 CDN. No way. You mention the LowePro Flipside series the most expensive of which is about $200 CDN. I can think of a lot of accessories the extra $400 can get me. You’re right and many photographers may look at it in that way. Then again if you want a bag that looks a lot nicer than many typical camera bags with full grain leather then there’s a price and a market for that. Not all products appeal to everyone. ONA does make some beautiful bags, but really only good when going minimal. As you said, the weight distribution in their bags are not very good. I had their canvas camps bay bag and was pretty uncomfortable walking around with, from the straps to the how the bag would distribute the weight. I personally prefer bags that had a the main compartment for the gear opening from the back with some areas for quick access, rather than it being accessible from the front. i love my The Prince Street bag but it's lost a bit of utility since i changed up from the 10.5" iPad Pro to the new 12.9" that doesnt fit. If it can hold that much gear, you gotta have a waist strap.